Spam isn’t the only thing to fear from your email. 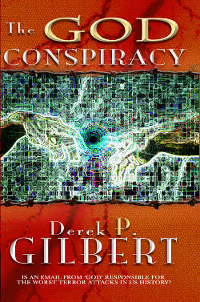 Author, blogger, and podcaster Derek Gilbert joins me in the reaction chamber to discuss his novel The God Conspiracy. Gilbert is a former radio personality who, accompanied by wife Sharon, examines the political and cultural landscape through the lens of scripture. Derek and Sharon Gilbert post regular articles on their individual blog sites: Weapon of Mass Distraction, and Welcome to the Mind of a Writer. They also host a forum, news articles, and the P.I.D. Radio podcast from a joint website: PID Radio. The God Conspiracy is Derek’s second novel, preceded by Iron Dragons, and his first book to use a modern setting. In addition to being a seat-of-your-pants thriller, The God Conspiracy brings to light many of the issues the Gilberts address in their other outlets, casting them safely in the realm of fiction. For now. 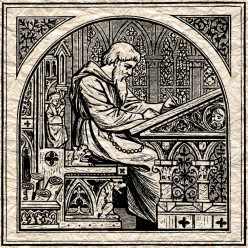 Read the Media Junkie review of The God Conspiracy.